You may not have known this, but our anti-gay Vice President Mike Pence owns a pet rabbit named Marlon Bundo. Today, an illustrated children’s book about him entitled Marlon Bundo’s A Day in the Life of the Vice President is released. 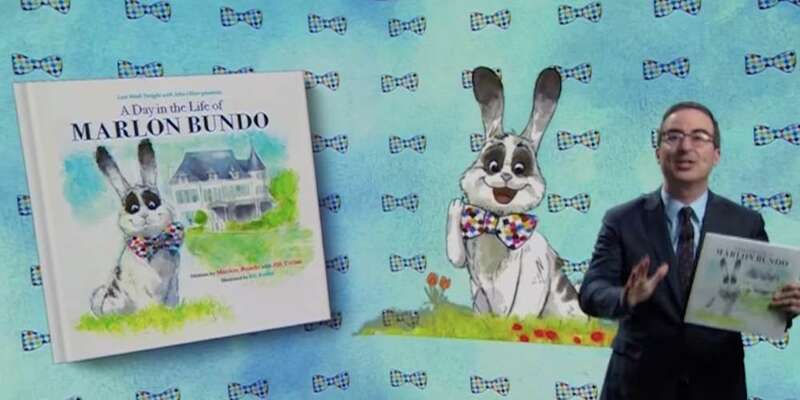 So, to troll the Veep, comedian John Oliver released a nearly identically titled Marlon Bundo book for children called A Day in the Life of Marlon Bundo which is about Bundo falling in love with a boy rabbit. 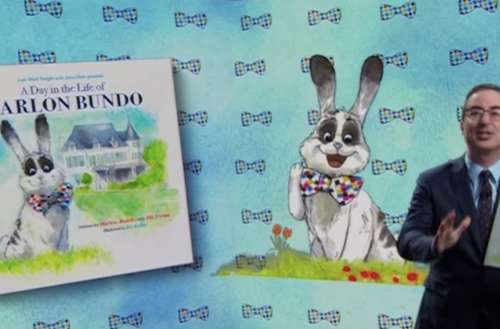 To be clear, A Day in the Life of Marlon Bundo is an actual children’s book about a bowtie-wearing rabbit who happens to be the vice president’s pet. None too subtly, when Marlon and his male bunny mate, Wesley, declare their intention to marry, a very stinky stinkbug — who just happens to resemble the vice president — says that boy bunnies must marry girl bunnies. Proceeds from the book will go to the Trevor Project, which offers suicide prevention for LGBTQ youth, and AIDS United, a group seeking to end the U.S. HIV epidemic. You can also listen to an audiobook version of A Day in the Life of Marlon Bundo featuring voice work by gay actors Jim Parsons, Jesse Tyler Ferguson and RuPaul among others. Oliver and his team created the book directly to oppose Pence’s anti-LGBTQ politics. Oliver says that Focus on the Family founder James Dobson is a “mentor” of Pence. Dobson and his organization both support so-called “ex-gay” conversion therapy meant to change someone’s sexual orientation, a practice roundly condemned by pretty much every major psychological association in existence. What do you think of the Marlon Bundo book for kids? Do you have another favorite gay children’s book? Sound off in the comments.